Wild Belle: Musical Siblings Go Island Hopping The brother-sister duo's debut album, Isles, draws on electronica, jazz and reggae to create a package of worldly grooves. Wild Belle's debut album is titled Isles. 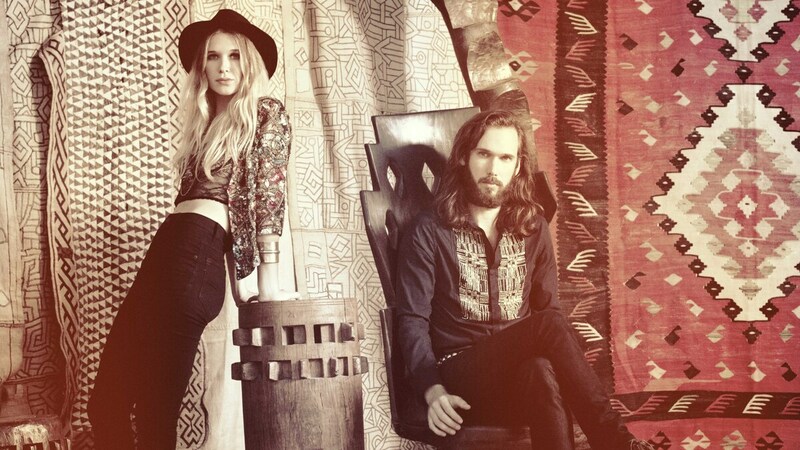 Elliot and Natalie Bergman, a sibling duo originally from Chicago, are Wild Belle. Elliot has been in other bands (including NOMO) but says this project with his sister, eight years his junior, is just the right fit. "It definitely just feels like home," he says. "It's all the best parts of the things that I've been able to do thus far in my career." The duo's debut album, Isles, gets its name from the idea that each song on the record is its own island, by turns drawing from reggae, electronica, jazz, soul and world music. The siblings spoke with NPR's Audie Cornish about their collaborative process and musical influences. Elliot Bergman: "Natalie is definitely the force behind the song and the lyric. You're always sort of searching for that kind of 'magic button,' we call it in the studio — something that kind of puts you in a place that feels like you would want to live there for a little while." Elliot Bergman: "I started working at a record store when I went to college, so my record collection grew exponentially and they sort of got siphoned off into Natalie's bedroom. She had a little portable Califone record player. And so she would be kind of sitting at home and instead of doing her homework, she was listening to Sun Ra records and freaking out about that as a 10-year-old." On the song "When It's Over"
Elliot Bergman: "This is one that Natalie actually sort of wrote for me. I had gotten out of this relationship and, you know, I was sort of moping around. And Natalie was like, 'Hey, I wrote a song for you. This will help you express your emotions.' "
Natalie Bergman: "That's the second song on the record that I wrote in a male's perspective. It's sort of a guy speaking to me and singing to me, but I'm using his voice."